THE first by-election since Pakatan Harapan came to power — in Sg Kandis, Selangor on Aug 4 — is just behind us. For the new government, this early test following its historic win in the 14th general election was not problematic since the rakyat had just given it a resounding mandate in May. In the meantime, the new leaders holding court in Putrajaya have been graded on their first 100 days in power, which was reached on Aug 17. 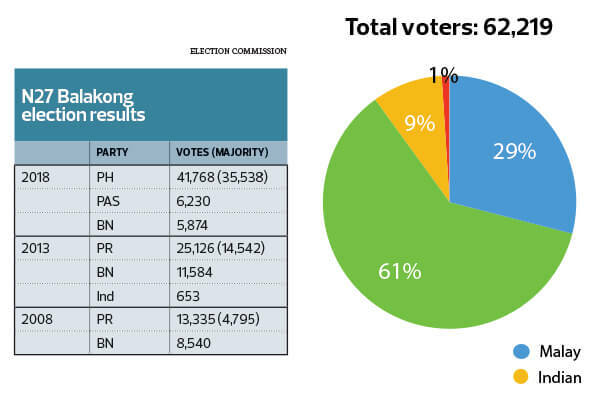 A decent 55% of voters surveyed by pollster Merdeka Center felt that the country was headed in the right direction under the new leadership. But there is no room for complacency. Two more by-elections are around the corner on Sept 8. It is a testing time for the coalitions on both sides of the political divide. At one end, Pakatan Harapan has to work on fulfilling the expectations it has created with its election manifesto, which promised 10 significant changes in its first 100 days. In the longer term, it would need to deliver a whole raft of reforms to address national issues. As for the Barisan Nasional coalition, fault lines have opened up in the time-tested alliance as the glue that held its 13 members together — control of parliament — has lost its adhesive power following its unprecedented defeat. So far, the coalition is finding it difficult to push ahead with long-overdue reforms and as a result, looks like a stalled political vehicle. In the upcoming Balakong and Seri Setia by-elections, Pakatan Harapan will get to use its coalition logo for the first time in an election campaign. It could take advantage of the lingering “feel good” factor among its supporters, which gave it massive majorities in both seats in GE14. A telling sign of the state of the opposition is that MCA will try its luck against DAP in Chinese-majority Balakong by ditching the BN logo and using its own symbol. This is despite the fact that Umno had stuck with the BN brand in the Sg Kandis contest. In Balakong, the MCA candidate is Tan Chee Teong, a local leader in the party’s Serdang branch. He will be going against DAP’s Wong Siew Ki, who will defend the seat for the party following the death of assemblyman Eddie Ng Tien Chee. The party’s gamble to use its own logo — a decision unanimously approved by the BN supreme council — was met with scepticism by pundits. “Does MCA think that by using its own logo, it can touch the hearts of Chinese voters in the DAP stronghold?” asks political analyst Datuk Dr Abdul Halim Sidek. He notes that DAP has dominated the seat since 2008. “Does it also mean that it will never use the BN logo again, and eventually exit the coalition? It causes confusion among BN’s own voter base… That decision will push Malay voters away,” he says. However, “there is already an electoral understanding between PAS and Umno”, Oh tells The Edge. This, in theory, should unite Malay opposition votes, he adds. Interestingly, BN has stayed out of the contest in Malay-majority Seri Setia and pledged to campaign for the Islamist party, which will challenge the incumbent PKR. The question is whether the improving BN-PAS relationship will aid PAS’ chances at the ballot. The PAS leadership has already signalled the party’s alliance with Umno, saying it has no qualms about campaigning for other BN coalition members — including for MCA in Balakong — and not just Umno. But in reality, while PAS supporters may accept Umno — which is preaching Malay nationalism more earnestly these days — they may not be singing the same tune when it comes to MCA, says an analyst. “The support of PAS voters and fence-sitters [in Balakong] is not [inclined] towards MCA,” says University Malaya political analyst Muhammad Shanshinor Abdul Azzis. The strategy may instead work to PAS’ benefit in Seri Setia, where former Selangor exco member Dr Halimah Ali will challenge local PKR candidate Halimey Abu Bakar following the death of assemblyman and former Selangor exco member Shaharuddin Badaruddin. Oh says it will still be difficult for PAS to regain its footing in Selangor since it was nearly wiped out in the state in GE14. “But PAS is trying to remain somewhat visible. For them, it is important to come out and be seen. “Nowadays, people consider PAS to be a rural party. If I were in PAS, I would need to tell the world that I still have support in the urban areas,” he says. “Umno must know they cannot win that seat,” he adds. This time around, Abdul Halim speculates that PAS may tone down the rhetoric of race and religion since Umno had invoked these sentiments in Sungai Kandis with little success. “PAS will campaign on ethical issues like Pakatan Harapan’s campaign promises but it will be difficult for them to challenge the incumbent party. [The late] Shaharuddin did little campaigining in GE14, but won by a tremendous margin,” he says. Undoubtedly, the dramatic switch in the federal government in GE14 has triggered a chain reaction in Malaysia’s political landscape. But an “overdose of politics” could affect how the election outcome should be interpreted, says Abdul Halim. He opines that the much-reduced voter turnout — below 50% in Sungai Kandis — was because fence-sitters who are still digesting the recent changes stayed away. ISEAS political analyst Lee Hwok-Aun concurs: “This soon after GE14, we should not read too much into the results. “I think there’s still an air of newness and expectancy about post-GE14 Malaysia and Selangor, which [will] weigh heavier on voters’ minds,” he tells The Edge. 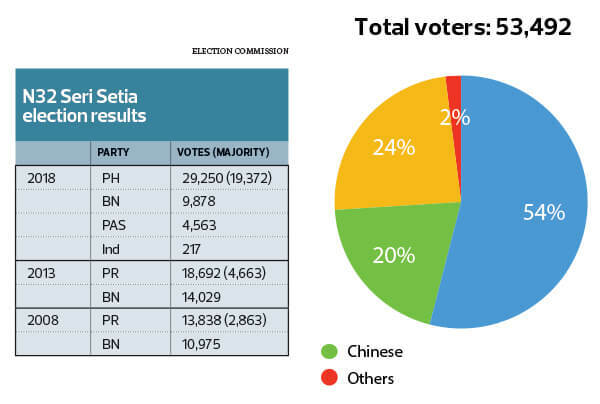 Reduced turnout aside, the analysts have mixed views on the declining margin of victory in the first by-election in Sungai Kandis, which involved a three-way fight with Barisan Nasional and an independent. Says political analyst Muhammad Shanshinor Abdul Azzis: “The by-election is significant in gauging the momentum of voter support post-100 days of Pakatan rule,” but pointed out that local issues will still weigh heavier on voter sentiment. 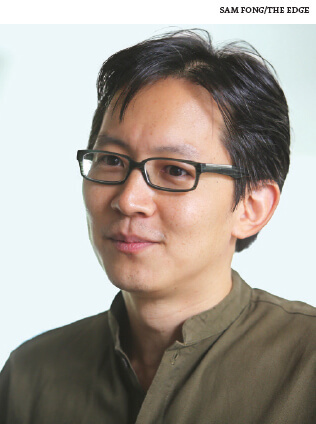 “By-elections offer a glimpse of voter sentiment, and a Selangor seat, in some ways, represents middle Malaysia,” says ISEAS’ Lee.